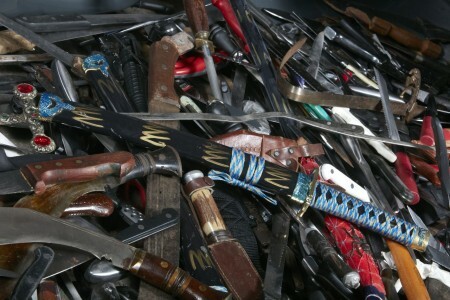 Samurai swords, kukri knives and even a machete were among the haul of weapons dropped off by residents. 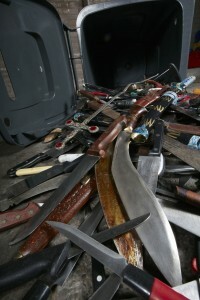 The surrender, which took place 21–27 November, saw 332 weapons handed in at police stations across Greater Manchester. The anonymous surrender was supported by Rhian Jones, the mother of Dominic Doyle who was tragically stabbed to death aged just 21 on a night out in Tameside. The knives will now be donated to the British Ironworks Centre, who will melt them down and transform into a statue in memory to those that have lost their life to knife crime.